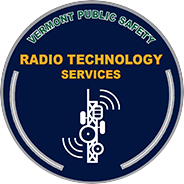 The Vermont Microwave Network provides broadband connectivity for public safety. This system in many cases is the only network available to connect the various land mobile radio systems to the dispatch centers. The system is configured in a self healing ring configuration and network operation center computers continually monitor the health of the network, and automatically notifies technician when problems are detected. RTS manages the engineering, construction and maintenance of wireless towers, microwave backhaul systems and Fiber Optic connections. Major accomplishments include the change from Asynchronus Transfer Mode (ATM) to Multiple Protocol Labeling Switching (MPLS) technology, making it compatible with all other telecommunication carriers.